Accommodation at Southern Sun Gold Reef City in Johannesburg South is comfortable, restful, and relaxing. Our accommodation is fully equipped with all the amenities required to make you feel right at home. 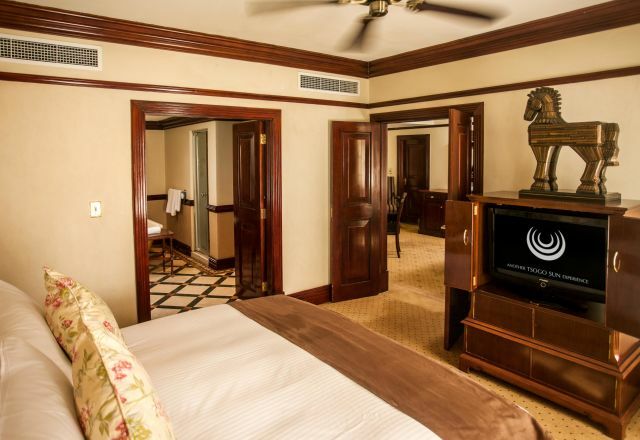 The hotel’s 38 well-appointed rooms and suites are equipped with a host of amenities such as complimentary WiFi, air-conditioning, tea and coffee facilities, DStv, mini bar, electronic safe, and more. Accommodation décor is plush and luxuriant, creating an atmosphere of calm relaxation and privacy. 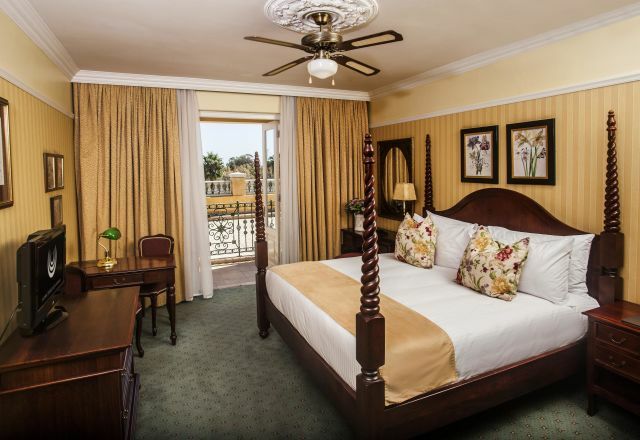 All rooms feature king size beds for an extra comfortable night’s sleep. Smoking rooms, and a room for physically challenged guests are available on request. For superbly comfortable hotel accommodation in Johannesburg, Southern Sun Gold Reef City is the ideal choice. 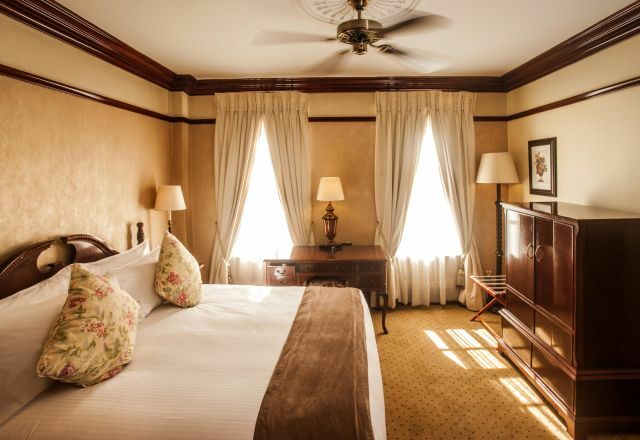 Standard rooms in our Johannesburg hotel have a king bed as well as en-suite bathroom with separate bath & shower. Our Gold Reef City hotel executive rooms have two separate bedrooms with king size beds and en-suite bathrooms with separate shower.